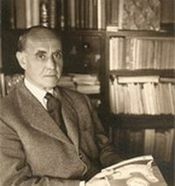 (Culled by Marià Manent, Pere Quart, Josep Romeu, Gabriel Ferrater, Albert Manent, Pere Gimferrer). Barcelona. Edicions Proa, 1973. 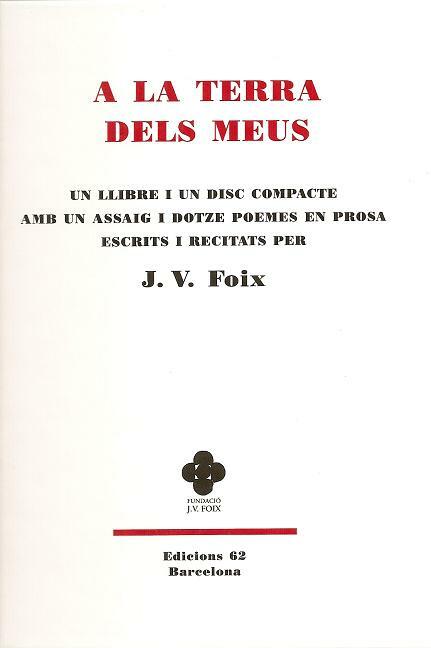 Col. Els llibres de l’Óssa Menor, 76. Drawing by Josep Obiols, 149 p. 2nd Edition. 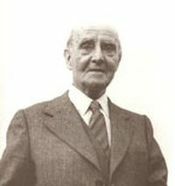 Diputació de Barcelona, 1993. Llibres d’Abril, 1. 190 p.
(Supervised by Pere Gimferrer) Barcelona. 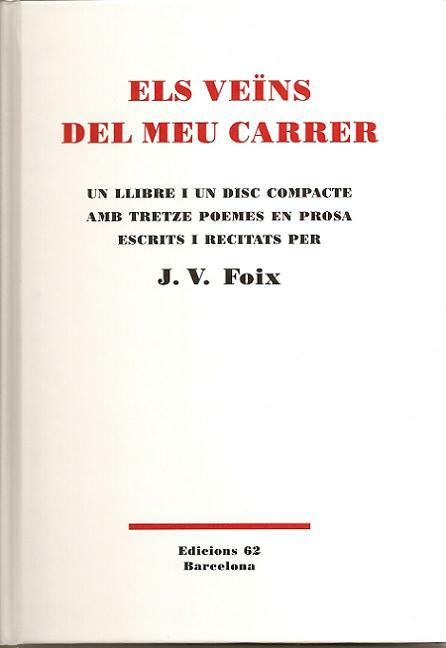 Edicions 62 / “la Caixa”, 1980. 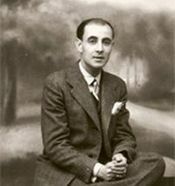 Les millors obres de la literatura catalana, 31. 157 p.
(Introduction by Maurici Serrahima). Barcelona. Arimany, 1973. 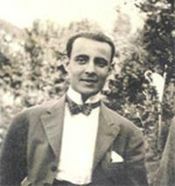 Col. Els dies i els homes, 3. 108 p.
(Translated by Patricia Boehne). 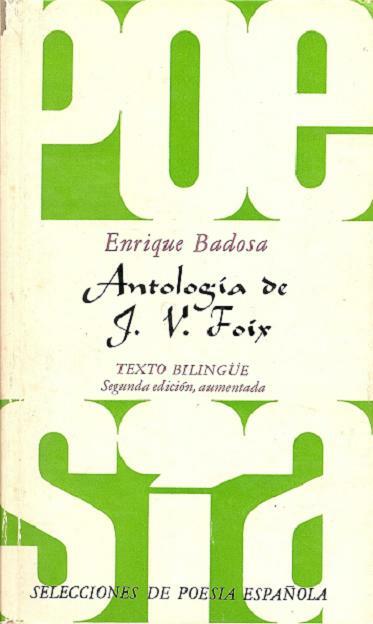 Bilingual edition in Catalan and English. Boston: Twayne Publishers, 1980. (Drawings by Ricard Pla Boada) Barcelona. 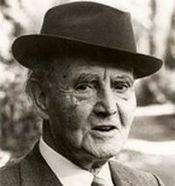 Druïda, 1984. 28 p.
(Drawings by Ràfols Casamada. Colophon by M. Carbonell) Barcelona. 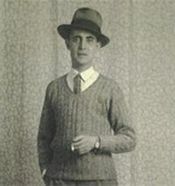 Col. El Tinter dels clàssics, 18. Drawings by G. Cifré. 24 p.
(Edition supervised by Fina Dantí). Barcelona. 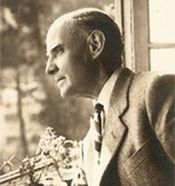 Editorial Barcanova, 1993. Biblioteca Didàctica de Literatura Catalana, 3. 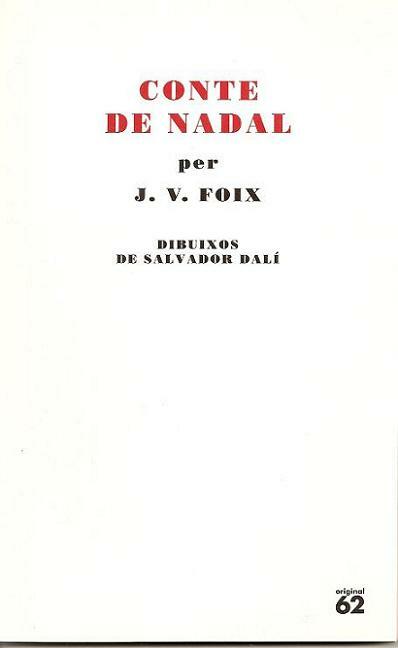 239 p.
A book and a CD with ten Christmas poems written and recited by J.V. Foix. Edicions 62. Barcelona (2000) 91 p. and CD. A book and CD with 13 poems in prose written and recited by J.V. Foix. Edicions 62. Barcelona (2001) 93 p. and CD. 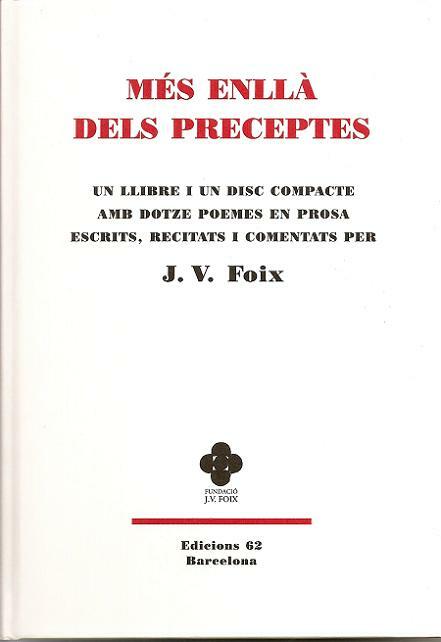 A book and CD with 24 sonnets written and recited by J.V.Foix. Fundació J.V. 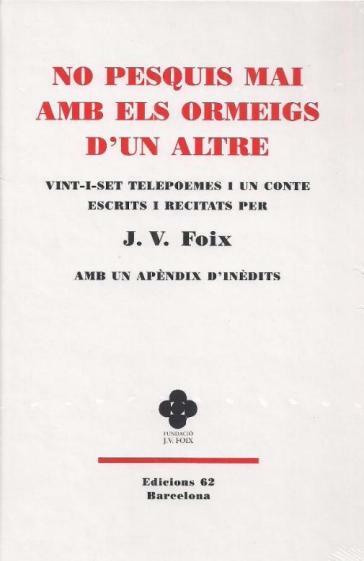 Foix / Edicions 62. Barcelona (2002) 63 p. and CD. 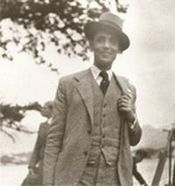 A book and CD with an essay and 12 poems in prose written and recited by J.V. 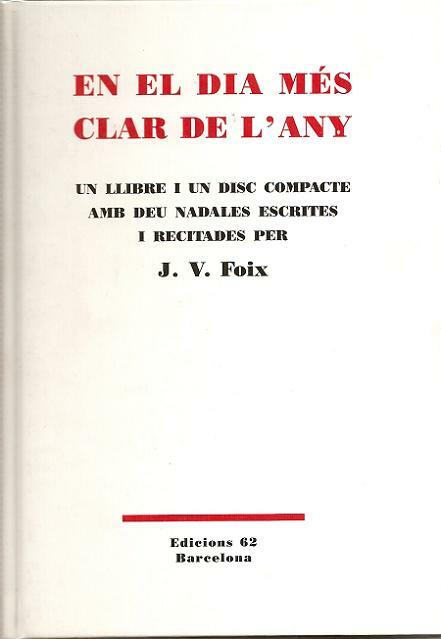 Foix. Fundació J.V. 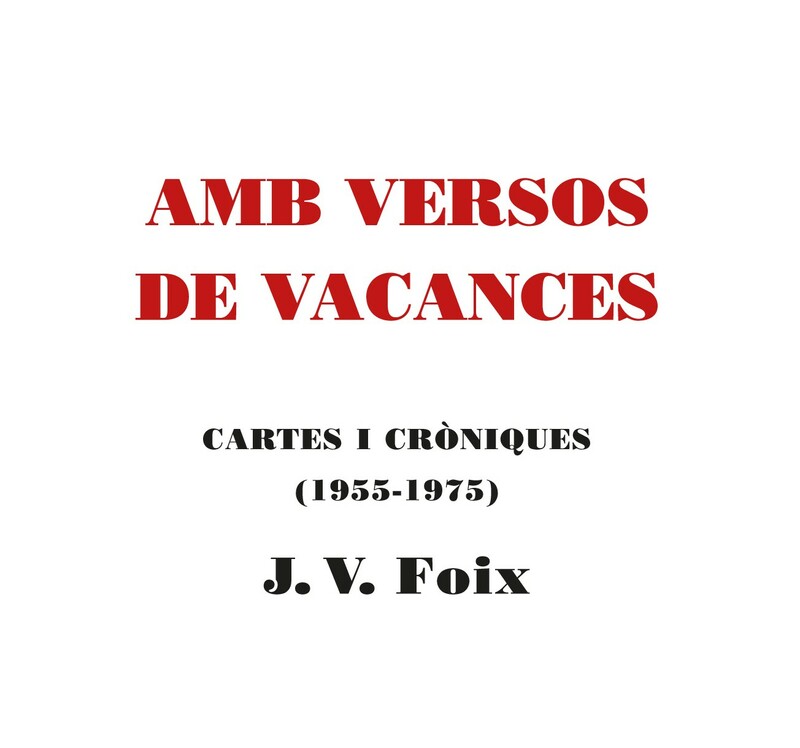 Foix / Edicions 62. Barcelona (2003) 59 p. and CD. 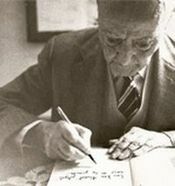 A book and CD with 14 poems in verse written and recited by J.V. Foix. Barcelona. Edicions 62 i Fundació J.V. 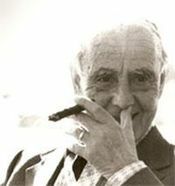 Foix, 2004. 77p and CD. A book and CD with a collection of poems in prose, seven poems from Gertrudis and two from KRTU. Barcelona. 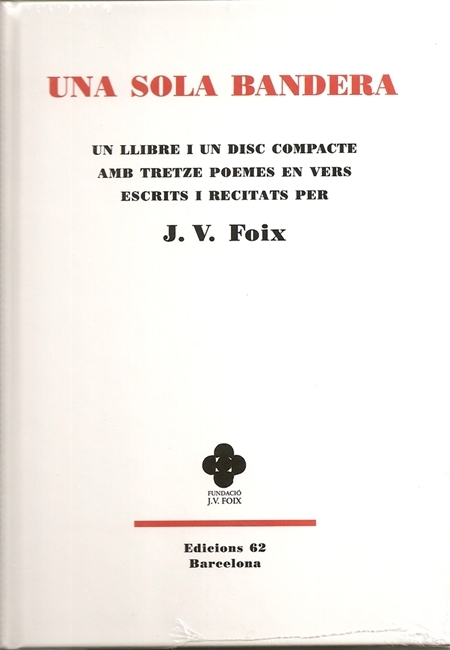 Edicions 62 i Fundació J.V Foix (2006). 59 p. and CD. 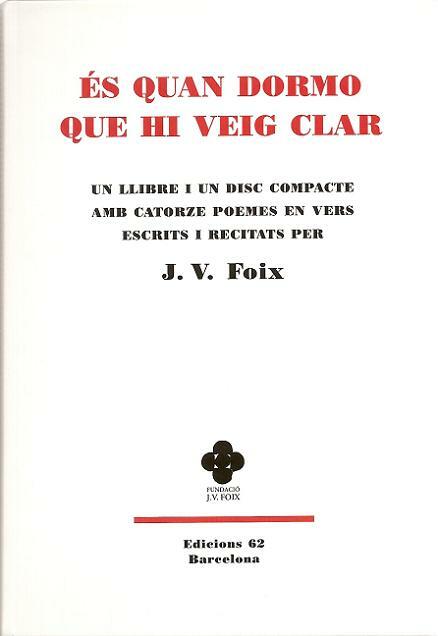 A book and CD with 13 poems by J.V. Foix, most of them from Sol, i del dol. Barcelona. Edicions 62 and Fundació J.V. Foix (2007). 63 p. and CD. 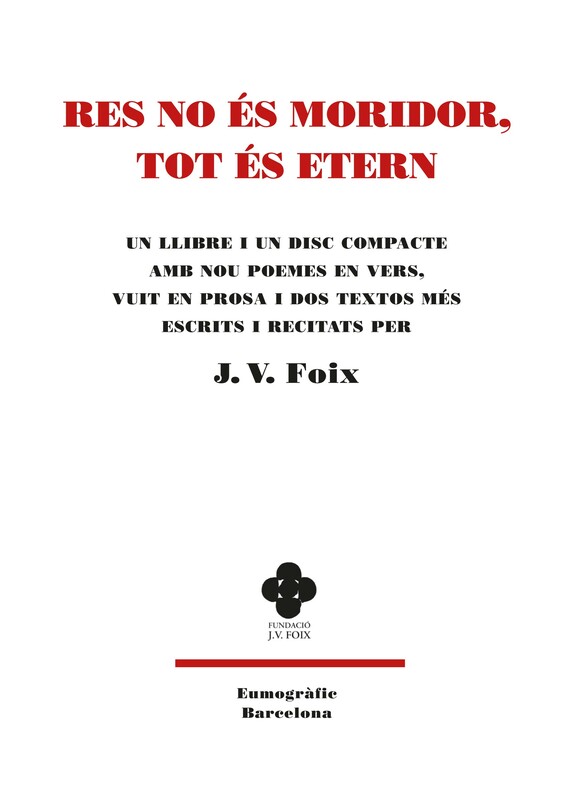 A book and CD with 9 new telepoems and the prose “El moll d’en Balleu”, plus an introductory study by Ramon Salvo Torres. Edicions 62 and Fundació J.V. Foix (2009). 157 p. and CD. A book and CD with nineteen poems, an appendix of five sonnets plus an introductory study by Ramon Salvo Torres. Eumogràfic and Fundació J.V. Foix (2009). 149 p. and CD. A book and CD with nine verse poems and eight prose poems. Eumogràfic and Fundació J.V. Foix (2012). 69 p. and CD. A book and CD with seventeen verse poems. 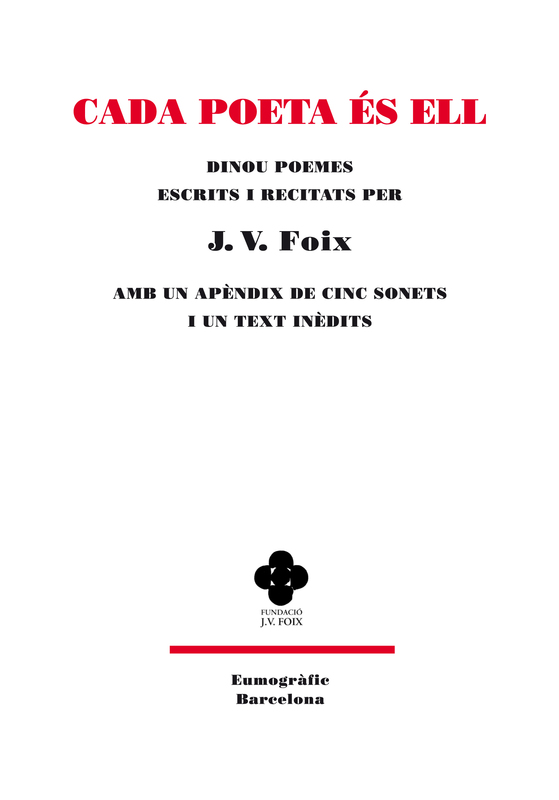 Contains letters anc chroniques written in el Port de la Selva. The majority of these are unpublished texts. Eumogràfic and Fundació J.V. Foix (2013). 163 p. and CD. A book and a multimedia disk. 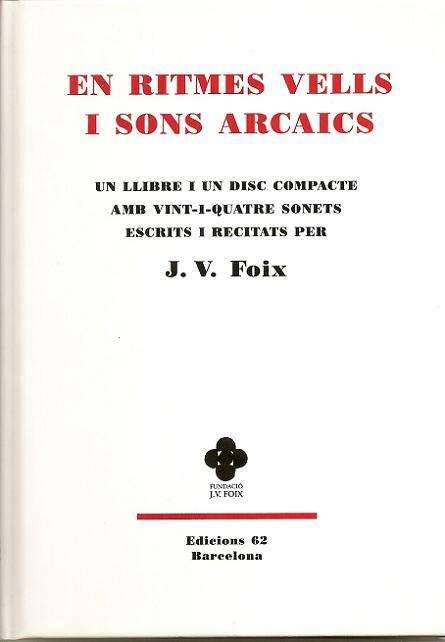 It contains seventeen interviews answered by J. V. Foix. Sixteen, done in different media, are recordedi in the disk. Eumogràfic and Fundació J. V. Foix (2014). 230 p. and CD.